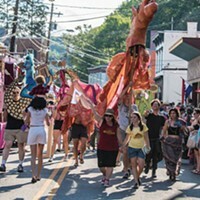 At the corner of Route 213 and Cottekill Road in Rosendale, partially atop an ancient (375 million years old) limestone ledge dotted with fossils, you'll find the retail nursery, garden gift shop, and landscaping division base of Victoria Gardens (Victoriagardens.biz). 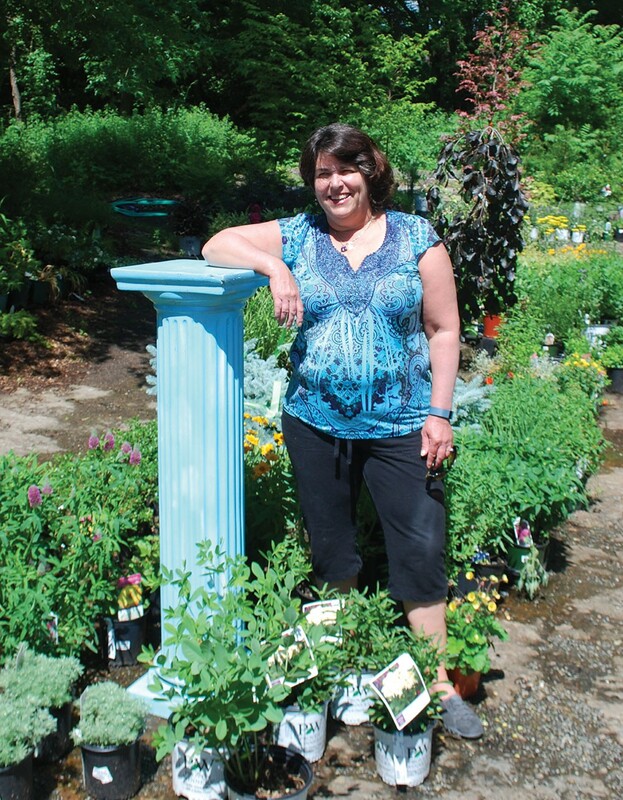 Thirty years ago, fresh from her horticulture studies, Victoria Coyne started a landscaping business. 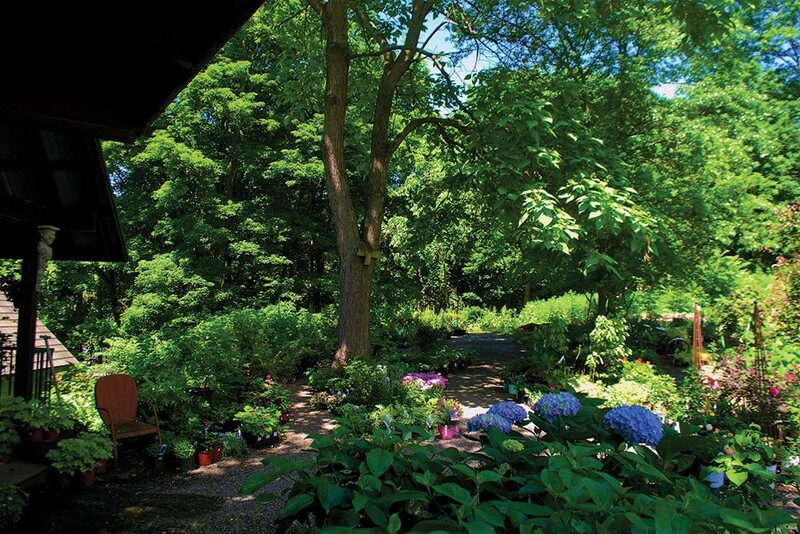 In 2003, she bought the Rosendale property, which came with an abandoned cement block building that Victoria's late husband, Wayne Waddell, rebuilt into a gorgeous, high-ceilinged, wood-framed garden gift shop that opened in 2007. The shop is so beautifully constructed and laid out that it feels like a high-end experience, but without the steep prices. The nursery is set up like a garden, with plants grouped together according to their growing conditions. "Because of the way the nursery is laid out, if you have a garden that's in full sun, you won't accidentally fall in love with a plant that needs shade," Coyne says. "You can look at the flowers, colors, and textures instead of squinting at the tags, trying to figure out if it will survive in your garden." Longtime nursery manager Russel Wiser can help you get to the right section, where you'll find your options are many. For instance, the nursery has more than 500 varieties of deer-resistant plants, many of them suitable for shade. Shade gardens are one of Coyne's specialties, and Victoria Gardens designs, installs, and maintains many of them every year—the majority of them in deer country. What are the biggest misconceptions people have about shade gardens? Victoria Coyne: Many people think if you have shade, you can only grow hosta. There are so many things beyond hosta, and lots of plants that deer leave alone—hellebores, columbine, goatsbeard, waxbell, Japanese forest grass—the list goes on and on. Sometimes people are challenged in understanding the differences in shade—that some shade is dry shade and some shade is moist shade. Dry shade is the biggest challenge, like under sugar maples where the roots are exceptionally shallow. There are plants like epimedium and andromeda that thrive in dry shade; we have 12 different varieties of andromeda. Hostas also are champs in dry shade, but they are not deer resistant. How do you keep deer at bay? VC: There are two main approaches: install a tall deer fence around the perimeter of your property, or use deer-resistant plants in combination with spraying repellent. We have extensively field tested Deer Defeat, which is made locally in Red Hook, and now we use that exclusively. Unlike other repellents that we had to reapply after every rain shower, Deer Defeat holds up through the rain; we only have to apply it every three weeks. Also, the deer don't seem to get used to this repellent, so we no longer have to continually switch brands. Unless there's a perimeter fence, our crews don't leave a job site without spraying repellent because deer are habitual—they will come back to the place where they remember there's something tasty. They will try any new plants, even the "deer-resistant" ones (they'll spit them out), but if we spray plants with Deer Defeat, they won't even nibble. In terms of plant selection, we don't sell anything as "deer resistant" until we observe that directly. A lot of times nurseries or growers will label things deer resistant that I've found Ulster County deer love. For that reason and for all our plants, when we consider adding a plant to our stock, we try a few out first and do our field testing so we can speak to the plant's merits from experience. What is the one shade plant you feel everyone should have? VC: Hellebores, also called lenten roses. They are deer-resistant perennials; the foliage is beautiful and evergreen. The flowers come in countless expressions (from light pink to chartreuse to black, from singles to doubles, with spots and ruffles or without), they emerge in March (through the snow if need be), and they bloom for several months or more. I want everybody to have them. Even if we have a full-sun-blasted client, we will plant a tree so we can get some hellebores in [laughs]. How should shade garden beds be prepared? VC: Don't skimp on building the beds. If you just go in under a maple and start digging, that won't work, because the new plants won't be able to compete with the shallow tree roots. You want to build up the soil gradually—three inches initially, and replenish each year—so that you can plant your perennials and they'll have a chance to establish before shallow tree roots colonize the new soil. Avoid putting soil against or near the trunk, because that can interfere with the vascular system of the trunk, which is just under the bark. For soil amendment, we like Dynamulch, made locally by Croswell Enterprises in Kingston. It's an organic hybrid of compost and bark mulch that looks like beautiful dark soil. We mulch everything to retain moisture, keep the weeds down, add organic matter, and give the gardens an attractive look. I don't use synthetic landscape cloth, by the way, to suppress weeds except for under pebbles/stones, like around a pool. We do not use it in garden beds ever, because the beautiful mulch on top of it breaks down and becomes beautiful soil that doesn't get to the plant roots! Also, weeds grow in that beautiful soil and when you go to pull up the weeds, here comes that cloth because the roots of the weeds found their way through the cloth—it's always a mess. You can use thick layers of landscape paper, newspaper, or cardboard instead—something that will compost and disappear. VC: To know whether you have sun or shade conditions, ask, "When does it get sun?" If the site gets sun in the morning only, it's appropriate for a shade garden. If it gets sun in the hot western afternoon light, that's sun, even if it's sunny only for a few hours. If the only trees you have are old and you have a high canopy like I do with the mature oaks on my property, to have a shade garden you'll need to plant a layer of understory trees—things like dogwoods, redbuds, or silverbells. For any perennial, I group in masses of three, five, or seven rather than planting things like polka dots so that the garden looks more naturalistic. Think in terms of lots of textural changes, so if you have round-leaved hosta, add feathery-leaved ferns, astilbes, goatsbeard, and the like to vary texture. I am enamored of using bright chartreuse and variegated foliage plants sparingly in the shade to brighten up the garden. When working with dry shade, I've had success using soaker hoses under the mulch. When a tree that's providing shade for a garden dies, you have to move the plants. Lastly, take time to observe and analyze your site up front, and if you're struggling trying to figure things out, a one-time consult with a professional can really clarify and open things up for you.